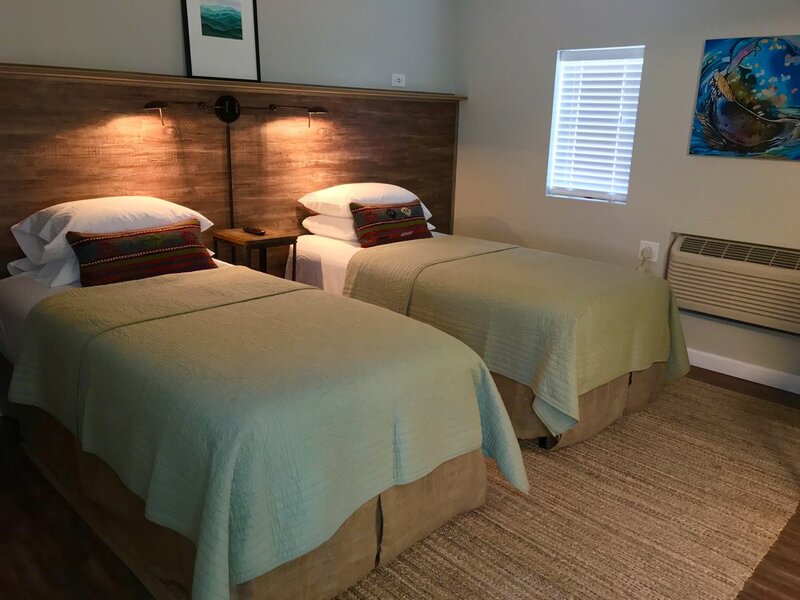 A contemporary four-room motel in the heart of the beautiful Potomac Highlands. Room No. 1 - Trout Run: Full-sized bed, private bath with walk-in shower. Trout run is small but super cozy, like a little cocoon. Room No. 2 - Cacapon: Queen bed, private bath with walk-in shower. Room No. 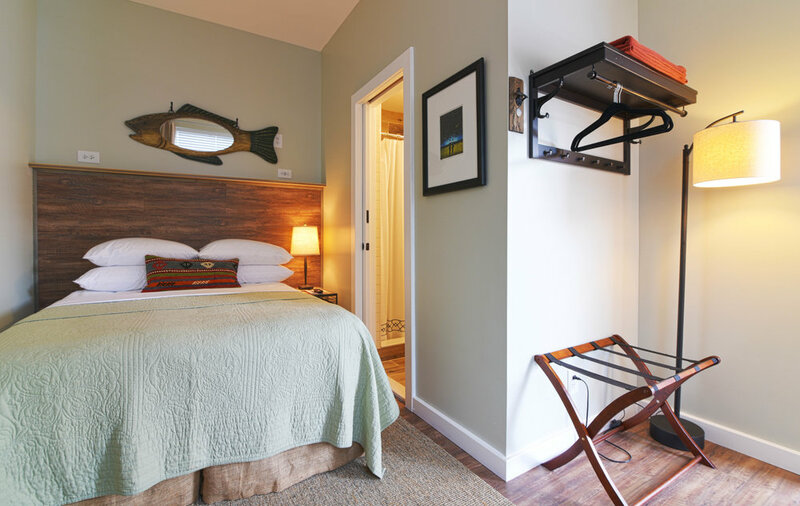 3 - Lost River: Two extra-long twin beds, private bath with walk-in shower. Room No. 4 - Marlene's Room: King-sized bed, private bath with a curbless shower. Named for Ms. Marlene See, the beloved proprietress of the Firefly's predecessor, the See's Motel. This room is ADA compatible. *Rooms are equipped with a touch-pad door lock. When you reserve a room online, we’ll email your 4-digit access code within 24-hours of booking. The access code (typically the last four digits of your phone number) will be the room “key” throughout your stay. Check in is at 4:00 p.m. We're happy to accommodate early check in if your room is available. Rooms must be guaranteed with a major credit card at the time of booking (American Express, Visa, Mastercard). Unfortunately, we cannot accept cash or checks. We'll typically charge your card on the day of departure. For reservations for 3-nights or longer, we may charge for the first night's stay in advance. Please call or email us in advance if you wish to reserve the entire motel. Life happens. Sometimes at the last minute. Reservations may be cancelled up to 1-day before arrival. No shows will be charged for the first night's stay. If you need to cancel at the last minute, please contact us directly. Available for an additional $15 per day. You may select this option in the Reservations tab. 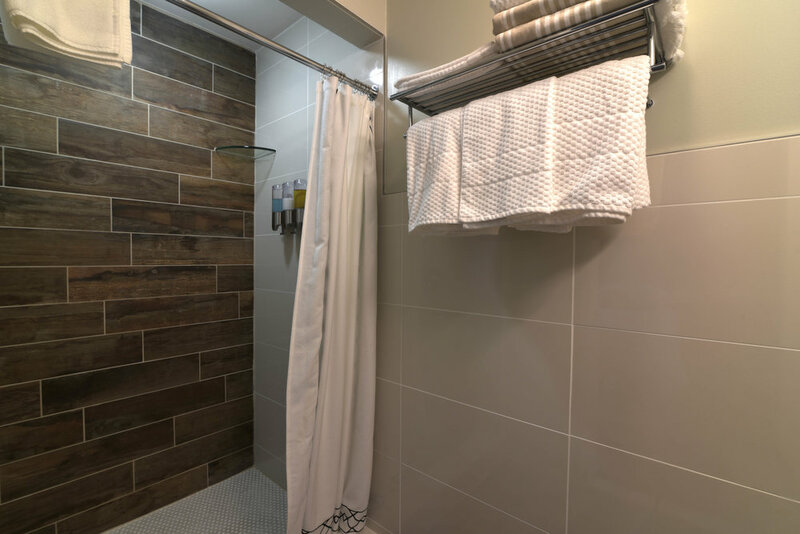 If you book 3 or more consecutive nights, we’ll refresh your towels and empty your trash bins every other day at no charge. We can accommodate small dogs with advanced notice. Pet fee is $25 per night. Please call us if you have a special circumstance. Smoking is strictly prohibited in the motel rooms, as well as in the small vestibule between rooms 1 and 2. Cigarette smoke renders the rooms in our tiny inn uninhabitable for at least 24-hours. If you smoke in the motel, you will be charged an additional $200 to cover the cost of the cleaning fee and for the loss of the next night’s booking. Feel free to smoke outside of the motel. A smoking pole is placed in the parking lot for your convenience. Many thanks for your cooperation. WE RESERVE THE RIGHT TO CHARGE GUESTS FOR LOSS OR DAMAGE TO THE MOTEL’S PROPERTY OR STRUCTURE DUE TO DELIBERATE, NEGLIGENT OR RECKLESS ACTS THAT OCCUR DURING THE GUEST’S STAY.